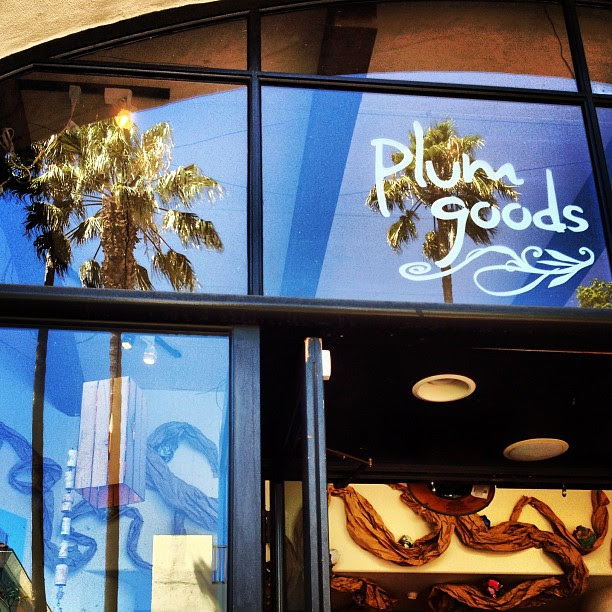 Located at 909 State Street in Santa Barbara, California, Plum Goods is a specialty gift store and gallery featuring handcrafted, up-cycled, and fair trade items. Every detail of the experience—from the customer greeting, to the items in the store, to the owners and employees—exudes passion and heartfelt integrity. This is not a shop for the sake of a shop, but rather an experience that has been designed with heart. Amy Cooper is the proud founder, owner, buyer, and as she says, “worker bee” of Plum Goods. I am so grateful to have met her, and through her, to have been introduced to Fabian Ojeda, who is Plum Goods’ Visual (and audio) Director. As soon as Fabian and I connected with one another, it was a match made in heaven. From the moment we said hello, we both talked back and forth about music and its ability to design, decorate, and enhance a space—ultimately bringing an experience to “emotional life.” To be a fly on the wall, you would’ve heard us talking a mile a minute. Between the “right’s” and the “I know’s” and the “Oh My God I agree’s” it was like watching a verbal tennis match. Fabian has been a visual merchandiser for twenty years and a jewelry designer for seven. He has been the Visual Director for Plum Goods since the concept opened in 2010. His responsibilities include creating a coherent visual experience within the 2000 square foot Plum Goods space, as well as creating two high profile window displays located on State Street. Fabian is also focused on the Plum Goods customers and the service they receive when they stop by the store. I am so thrilled to have had the opportunity to interview Fabian and find out more about how music plays into the Plum Goods experience. Orchid: How Would You Describe the Plum Goods Store Experience? Fabian: Memorable! Customers often say it’s the most interesting or the best store they’ve ever been in. Our approach combines an original mix of product that is not generally available, innovative merchandising, personal customer service, a fun atmosphere, and a great soundtrack. Orchid: At What point in the creation of the Plum Goods Store did you begin to think about what music you would use in the experience? Fabian: Music is such an integral part of my life and my life experiences that there was never a time when it was being “considered.” I always knew that the musical environment here would be designed to reflect our desire to create an inspired, welcoming place to be. Orchid: How important is music in creating the Plum Goods Store experience, and why? Fabian: Extremely important. When you are in a space with music that is not thought out and doesn’t align with the setting, it doesn’t encourage you to stay in the space. Our music is designed to reflect who we are as a store and a brand, and that’s something I think a lot of people don’t pay attention to, but should. Orchid: Are there key values in the Plum Goods Store brand that you identified early on that focused your song choices, styles of music, and design of the audio environment? Fabian: Absolutely! I also consider music that represents the materials and design elements in the store and combine them all into one experience. We have such an organic, handmade, creative feel to our product, so I choose music that is often indie, acoustic, and unique—musical selections that are not well known—and sprinkle in some electronic and dance selections. Underneath, the whole music program is designed with the same idea that informs the product selection in the store: beautiful, created with integrity, and hard to find. Just as with the product, I try to choose songs that move people emotionally. I also choose songs that people may not be familiar with to create a sense of discovery. Fabian: I know what tempo and intensity works within a retail environment, so I know what to avoid. I tailor the soundtrack by tempo and intensity in a way that accentuates different times of the day and different days of the week. Morning shoppers are very different than afternoon/evening shoppers. Saturday shoppers are very different than Tuesday shoppers. Orchid: As the music designer for the experience at the Plum Goods Store—without giving away your secrets—how are you able to discover new music that reflects your brand experience? Fabian: I spend about two hours every morning reading about music. You learn to go to blogs that are consistent with the brand experience and how to seek out other music that complements your style. You don’t need to rely on applications that do it for you. I understand if you don’t have time to do it, but I’m too choosy to let a computerized algorithm do it for me. Not to mention, I love doing it. Orchid: How does the business—and how do you—quantify the success of using the right music? How do you evaluate whether what you are doing with the music is creating the desired experience? Fabian: By the connection it makes with the customers and seeing their reactions. I have the luxury of seeing the effect on the customer as they are experiencing what I’m playing. I can see it on their faces, sometimes they’re dancing, and every single day customers will ask about specific songs so they can look up the artists. I also spend time talking to customers about the music and connecting with people all over the world through our music. It’s one of my favorite parts of my job. Orchid: From your professional experience, what is the No. 1 tip you would share with other visual/audio merchandisers about how to use music as a design discipline to extend the business experience rather than as a form of entertainment or “background’? Fabian: Know the demographics of your customer and combine that with the knowledge and understanding of the philosophy behind the product selection and the visual environment, then choose music that complements and enhances those elements. Orchid: Have you ever been in any business, such as a store, or a restaurant, where you’ve noticed the music and the emotional connection it creates between you and that space? Whether negative or positive, what reaction did you have, and how did it affect your behavior? Fabian: Yes, music that is too aggressive, too loud, and doesn’t reflect the merchandise and visual environment. Same thing with music that is too mellow – if it doesn’t reflect the environment, I get bored and want to leave. When the music is congruent with the visual environment, merchandise, and overall experience it can make your day, make you want to stay longer, and make you happier to shop there. 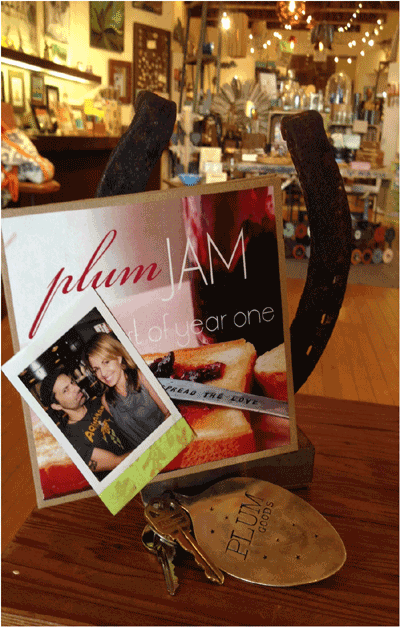 At Plum, people sometimes say they want to stay to hear what the next song will be. That means I’ve been successful at my job. Fabian: Oh my, there are way too many to list. But, going to a concert where I really love the music like DeVotchka, Radiohead, or Kodaline with LP recently in LA, I was completely transported and right in the moment. When I’m there I feel like I’m 19 again, and the music brings those feelings right back to how I felt the first time. Orchid: I must know, what are your personal top 5 favorite songs right now that you have on repeat? 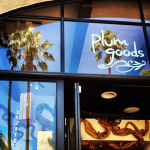 A big thank you to Amy and Fabian for taking the time to speak with me about The Plum Goods Store. 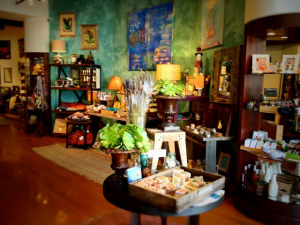 The next time you’re in Santa Barbara, make sure to pay them a visit to enjoy the extraordinary shopping experience yourself.